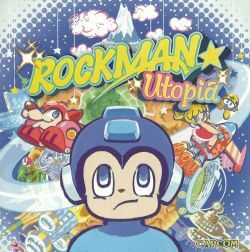 First press comes with a "Rockman (Dot ver.)" graphig papercraft. "Utopian" concept album featuring technopop and ethnic arrangement styles. Mega Man 7 / ロックマン7 宿命の対決! / Rockman 7: Shukumei no Taiketsu!